inger powder (soonth) and jaggery (gur) are a match made in heaven. Not only do the two flavours complement each other, the duo is also effective in solving several problems for us! It is a magic potion that helps warm our spirits in extreme cold weather, and is inevitably carried by most mountaineers to keep up their strengths in harsh mountain terrain. 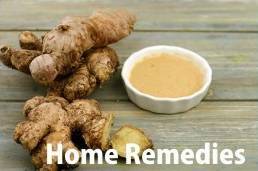 It is also very effective in improving digestion and curing stomach ache. 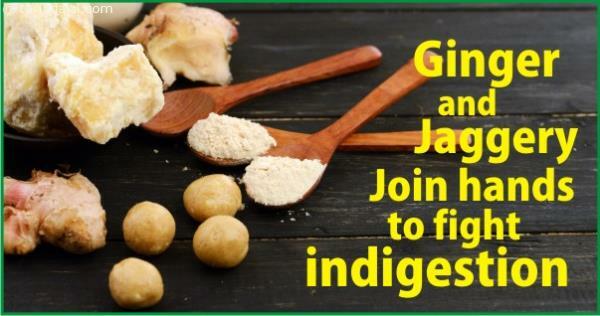 You can either combine dry ginger powder and jaggery in 1:2 proportions and have it as such (like a goli), or mix 1 tbsp ginger juice and 2 tbsp jaggery in water and drink it up. This helps in activating essential digestive enzymes.